Comments minimizing conviction for aiding and abetting deserve a double-take. Our colleague Kevin Jon Heller was right to call this "a stunning rebuke" by Special Court for Sierra Leone Trial Chamber II – for the reason that the Office of the Prosecution had constructed its narrative of Taylor's criminality primarily on the framework of joint criminal enterprise theory. But the failure to prove a joint criminal enterprise does not mean that Taylor was not found a criminal. Note the words "criminally responsible." "Oh, but" – some seem to say – "but aiding and abetting isn't so bad. Not nearly as bad as JCE" (using the acronym by which supporters and detractors alike prefer to refer to joint criminal enterprise). Thus in the United States – a jurisdiction whose behavior contributes to the state practice that forms customary international law – an aider and abetter is equally criminally responsible, and subject to equal punishment, as the principal perpetrator of a crime. Both the principal and the aider/abetter stand on a higher plane than, say, the accessory after the fact, whose sentence is cut in half, or the committer of misprision of felony, who serves no more than 3 years in prison. Indeed, the principal and the aider/abetter stand on a higher plane of criminality than the conspirator: with regard to this national crime akin to the international theory of "joint criminal enterprise, 18 U.S.C. § 371, the United States' general conspiracy statute, permits no more than 5 years in prison. ► The notion that engaging in a joint criminal enterprise is worse than aiding and abetting seems to have won purchase among judges of the International Criminal Tribunal for the former Yugoslavia. ICTY jurists certainly are free to pursue this reasoning, given that it was they who invented the doctrine of "joint criminal enterprise" to fill a perceived lacuna in an ICTY Statute that contains neither this theory of liability nor that of conspiracy. But their development of jurisprudence under their own statute does not mandate similar interpretation of other international criminal statutes – such as the Statute of the Special Court of Sierra Leone. This latter statute explicitly provides for aiding and abetting liability in Article 6(1), yet nowhere mentions "joint criminal enterprise," notwithstanding its promulgation years after an ICTY Trial Chamber 1st advanced the JCE theory in Prosecutor v. Tadić (1999). The judges of the Special Court will need to make their own decisions on this question, based on their own reasoned analysis of their own statute. I completely agree that it is incorrect to minimize the fact that Taylor was convicted on all counts of the indictment. But I also think it is incorrect to minimize the difference between conviction as a principal and conviction as an accessory. By statute in most civil-law systems, accessories are subject to a lower maximum sentence than principals. And although you correctly note that common-law systems such as the U.S. deem accessories to be punishable as principals, there is considerable empirical evidence that suggests judges nevertheless impose longer sentences on principals than on accessories. I'm thus less sure than you -- particularly given that the jurisprudence of international tribunals (from the NMTs to the ICC) has consistently emphasized that accessories should not be considered as morally culpable as principals -- that the Special Court would be justified in abandoning the principal/accessory distinction at Taylor's sentencing. It's also worth noting that Islamic states go both ways on the principal/accessory issue. For example, the maximum punishment is the same in Egypt, whereas accessories are punished less severely in Iran. Finally, Chinese criminal law punishes accomplices less severely than principals -- particularly accomplices who aid-and-abet. Thanks, Kevin. Your comments about national variations prove my point -- one cannot automatically say, as a matter of customary international law, that an aider/abetter (note that, as explained in my principal post, this is not the same as an accessory) is a lesser criminal or deserves lesser punishment. The post was intended to push back against that contention, which I have divined in much writing since the Taylor verdict. This aider/abetter=principal equation is one with which I struggled as a federal criminal defense attorney. If one's client is a small fish, it does not seem fair, given that aiding/abetting is so much easier to prove than principal responsibility -- yet the sentencing judge is given the discretion to treat your small-fish client as harshly as the big-fish boss. Viewed from the other direction, however, the picture looks different. If the defendant at issue is the putative big fish -- one who's been smart or ruthless enough to insulate self from the documents-and-witnesses trail of evidence prosecutors need in order to convict for principal liability -- it still may be possible to convict as an aider/abetter, and may seem far less unfair to punish on the same plane with convicted principals. I have never researched the source of this rule, but my guess is that it evolved from just that consideration -- out of a state's desire to remain free to punish persons believed centrally liable for a criminal transaction even if proof same beyond a reasonable doubt were hard to come by. Your comment raises what is, I think, a difficult and fascinating issue: from where should international tribunals derive their sentencing practices? If there was a customary rule or (more likely) a general principle of criminal law concerning the punishment of principals and accessories (either equally or the latter more leniently), I think international tribunals would be bound to apply it. Since there is not, I think we have to look, for better or for worse, to the practice of previous tribunals -- and that, I think, supports punishing accessories less severely than principals. To be sure, the SCSL is not formally bound by the jurisprudence of its predecessors; nevertheless, I think it would undermine the overall legitimacy of international criminal justice for the SCSL to change tack now, which would obviously be motivated by a desire to punish Taylor more severely than would be warranted under previous jurisprudence. So I will be very disappointed if Taylor gets a sentence equal to or longer than the defendants convicted of principal liability in previous SCSL cases. I also think your point about the "big fish boss" is important. I don't disagree with the idea -- but I don't see how we can now consider Taylor to be the big fish boss in light of his acquittal for ordering and JCE. Rightly or wrongly (I'm certainly inclined to believe the latter), the SCSL has concluded that the RUF leaders were the big fish bosses and that Taylor was their accomplice. So punishing Taylor as if he were a big-fish boss would, in my view, require relying on facts that were not found -- and indeed rejected -- by the Trial Chamber. Well, I think we part company on the 1st point. As a formal matter, of course, international law is far less bound to the notion of stare decisis than some national jurisdictions. And even as to national jurisdictions that adhere to stare decisis, authority does not bind across jurisdictions (i.e., U.S. federal judges may be persuaded, nor not, by what the California Supreme Court has ruled on a similar point; they are by no means bound by it). As to what sentence is appropriate for Taylor, I don't presume to have an answer on this (any more than I do vis-a-vis Lubanga). It is in any event extremely difficult to begin to assess his criminality, as found by the Trial Chamber, in its entirety, given that the Chamber has not seen fit to release the entire judgment. I would align myself with what Kevin John Heller pointed out in terms of the differences between civil law and common law traditions when it comes to modes of liablility. In almost all jurisdictions with a civil law tradition there is a clear normative distinction between principals (for instance co-perpetrators) and lesser forms of participation whcih might be called accessories (for example aiders and abettors). There is, however, a great deal of difference between national jurisdictions when it comes to a role such as instigator or sollicitor, which in German law is considered a "mere" accessory for both purposes of qualification and punishment, and in Dutch law is considered a principal. Common law traditions draw from the old English common law where there was also a clear normative distinction between prinicples in the first and second degree, and accessories. Though this language is still used in, for example, US and Australian criminal law, the normative distinction has been done away with. This is what allows notions such as conspiracy to be so far-reaching; everyone who took some part in the agreement is equally culpable and punishable, regardless of the actual contribution to the crime. This division between a more "subjective" approach, as seen in most comnmon law jurisdictions which focus on the agreement or common plan, and a more "objective" approach, as seen in many civil law jurisdictions where there is more emphasis on contribution or contorl over the crime, shows up in the uncertainty we have in ICL. If we can agree on any aim of the international criminal justice project, it surely must be that those who are "most responsible" for mass atrocities are held criminally liable, and that impunity is no longer acceptable. This draws more attention to the "big fish", and an imperative to distinguish between these leaders and the "smaller fish" who share moral culpability, but perhaps a lesser degree of criminal liability. This is why the normative distinction is important. 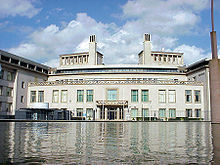 The fact that JCE has been so controversial as it has continued to be expanded in the cae law of the ICTY, and has met resistance most notably by civil law trained lawyers and judges who find the lack of normative distinction between different players to lead to uncomfortable conclusions, may well be one of the reasons the TC at the TL chose not to go down that path. Leaving them with the modes of liability in the statute, but with no answer to the question whether there is indeed a normative distinction between the aider/abettor and direct perpetration. I would disagree, for these reasons, with the statement that this finding is a rebuke to the prosecution. As ICL continues to develop the inevitable pluralistic solutions to these problems may not lead us to uniformity as one body of law, but it will continue to challenge us to think beyond the concepts we know from our national jurisdictions as if they automatically form customary law or even general principals. 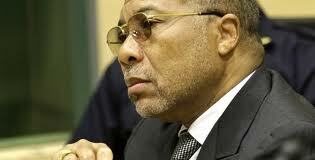 The project of ICL has a more specific context and may require more carefully formulated answers.